The Canberra International Film Festival kicks off tomorrow. As Canberra is my (adopted) hometown, I will be covering the festival quite extensively this year, aiming to see somewhere in the region of 25 films. Am a little intimidated just writing that. Rather an epic undertaking. In any case, I thought I would bash out a quick preview of what I am looking forward to in this year’s festival. Read on below to see my top picks, broken up into a few vague thematic categories. Excuse the dot point format. A little late here and I need my beauty sleep if I am going to embark on this epic film adventure as of tomorrow. CIFF has attracted films from some of the biggest name, festival style auteurs making films these days. There is the occasional Aussie premiere in there, but mainly these are films that have proven buzzworthy over the last year of festivals, especially at MIFF and SIFF from an Australian perspective. 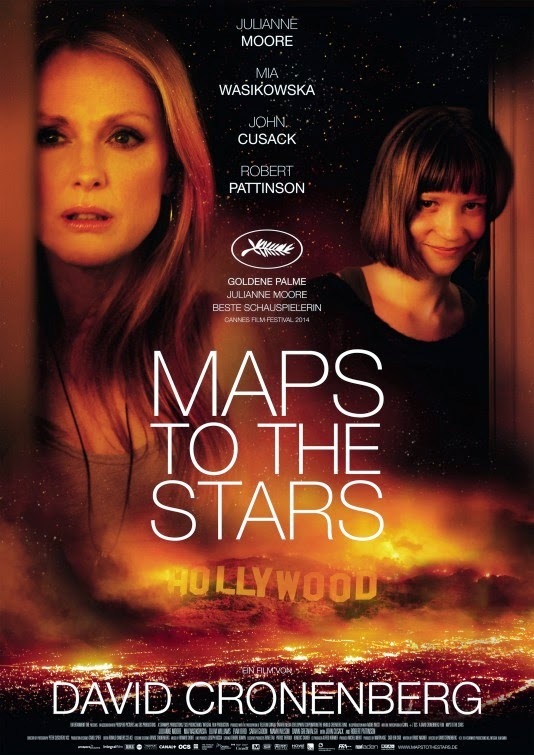 The festival kicks off tomorrow evening with the Australian premiere of David Cronenberg’s Maps to the Stars starring Julianne Moore. I’ve heard some positive things about Cronenberg’s latest and you have to give it to him, he always provokes a level of thought. 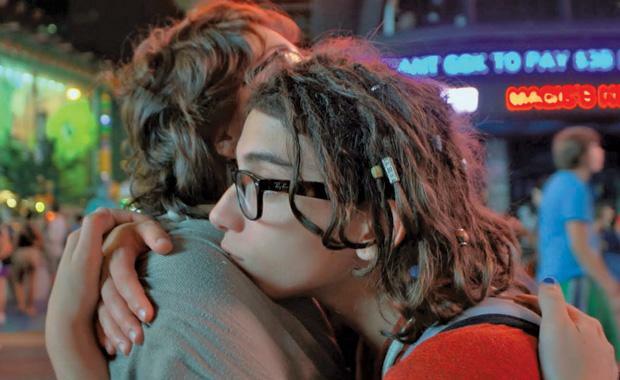 Looks to do the same with this film, which appears to be a searing look at Hollywood. The Dardenne Bros are absolutely beloved and Two Days, One Night may be their most beloved film yet. The film features the always excellent Marion Cotillard as a factory worker begging her colleagues to allow her to return to work. If there is one festivaly name people on my twitter talk about more than any other, it is Xavier Dolan. I have never seen any of the Canadian upstart’s films so am really looking forward to Tom at the Farm. One of my most anticipated of the whole festival I think. The epic (in length at least) Winter Sleep took out the Palm d’Or at Cannes this year which is a certain way to gain festival intrigue. With my jammed program, I am not sure I can make room for its 196 minute run time. Which is a bummer because I have heard wildly divergent opinions on this one and was hoping to make my own mind up. Catherine Breillat has long been one of cinema’s most talked about directors. Abuse of Weakness is a somewhat based on her real life tale of a conman and a film director. Unfortunately not at my beloved Arc Cinema as it was last year, this selection of genre films is one of the definite strong points of this year’s program. I just wish it was a little bigger is all. Stellan Skarsgard in a snowbound killing spree. In Order of Disappearance sounds pretty ace. The Australian premiere of A Girl Walks Home Alone at Night is a bit of a coup for CIFF as this Iranian feminist vampire film has understandably got people talking a fair bit. I am really keen to check this out. It may well be my most anticipated film of the fest. I avoided The Green Inferno at SUFF. My concerns about the cannibalistic Amazonian trope remain, but I think I will take the plunge on this one. Reviews have not been the best so far. 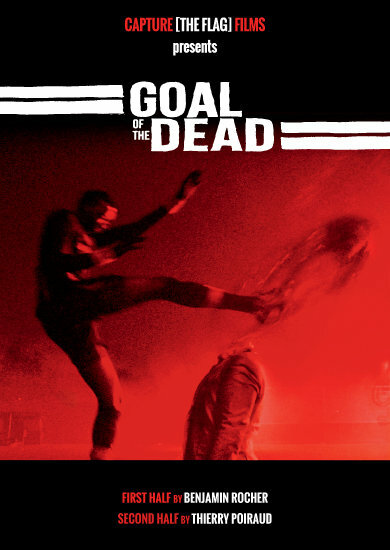 Goal of the Dead – Zombies and football… say no more. Why Don’t You Play in Hell and Housebound are two of my favourite films of the year so far. Links to my reviews can be found toward the end of this preview. My one real qualm with this year’s CIFF program is that it is not strong on Australian films for whatever reason. Personally though, I will fill that void with some of these smaller scale American productions that I have either heard a bunch about, or just been intrigued by whilst reading this year’s program. Appropriate Behaviour looks like it is all New York hipness seen through the prism of a bisexual Persian. Comedies are a little thin on the ground at CIFF, so here is hoping the scripting in this one is strong because it has a lot of promise. Ok so technically The Salvation is not an American film at all. I just wanted to talk about it because I am really excited to see it. Mads Mikkelsen stars in this Australian premiere as a Danish man trying to start a life in the American Wild West. A Mads Mikkelsen Western? Yes please. A lot of the films that I am really keen to see at CIFF are ones that have gotten mixed reviews from their earlier festival screenings. The Disappearance of Eleanor Rigby: Him and The Disappearance of Eleanor Rigby: Her definitely fit into that. Plenty of admirers and many who were a little miffed at the whole approach. In any case, apparently the ‘Them’ version slated for wider release is not at all successful, so I will be keenly checking these two out. Listen Up Philip was a film that I could have caught at MIFF, but I sensed I would find it a little too pretentious. But various people, who’s opinions I really trust have been telling me I missed out. Luckily CIFF will give me the chance to rectify that. I have a weird relationship with docos at festivals. For some reason, I am never all that excited to check them out when planning out my schedule. But so often after the fact, they are some of my highlights. I adore Wim Wenders and his dance documentary Pina (2011) was one of my favourite films of 2011. So I can’t wait to see this picturesque looking portrait of renowned Brazilian photographer Sebastiao Salgado that Wenders co-directed with Salgado’s son. “Illmatic” by Nas is one of the absolute essential hip-hop albums of all time. Time is Illmatic takes a look at both the album’s creation and how it is now considered. Brutally, it clashes with the Wenders’ film above for its first screening. But hopefully I will be able to catch the second. Remember the Hadron Collider? I do. Never really understood it though. Hopefully Particle Fever educates me a little without being too complex about it all. How in the world is it that people with absolutely no scientific background continue to play a major role in guiding worldwide climate ‘debate’? I have no idea, but hopefully Merchants of Doubt will teach me a little of why. Songs For Alexis traces teenage Ryan’s dealing with normal teen issues magnified by his transition from female to male. The kind of story not told enough, but one that we will hopefully see more and more of. From my visits to MIFF and SUFF, I’ve managed to see four films on the CIFF program. I won’t ramble too much, but click the title to go through to a full review. Human Capital is a Italian noir film that has gotten a whole lot of love. I liked it, but not as much as most. When Animals Dream is a slow, but worthwhile feminists vampire film out of Denmark. Why Don’t You Play in Hell was my favourite film at SUFF and is like nothing you’ve ever seen before. Housebound from New Zealand is one of the best comedy-horror films I have seen in a long time. Related beermovie.net articles for you to check out: Sydney Underground Film Festival coverage and Melbourne International Film Festival coverage. Cheers Cindy, appreciate the comments. Festival is going pretty well so far. Have seen both Eleanor Rigby films now. Think they will make for interesting reviews once I get to them.